A luxurious villa of 700 m² with magnificent view over the Saronic Gulf. This property is built in a contemporary and refined style and covers three levels. 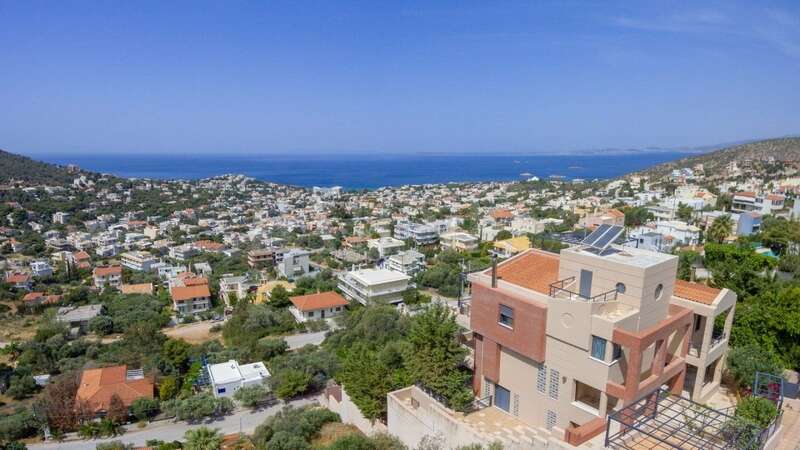 On the ground floor, the villa includes a large reception, a living room, a study room with sea view, two bedrooms with en-suite bathrooms and a small gym. On the 1st floor there is a large living room featuring a fireplace and a dining room with a beautiful panoramic sea view, a kitchen with a dining area and its own terrace with barbecue area. On the 2nd floor there is the master bedroom suite with a bathroom, jacuzzi, shower and a dressing room. There are also two additional bedrooms with their own bathroom and terraces with sea and mountain views. The villa has an elevator for all three levels. The property also includes a heated swimming pool with a counter current flow, a garage for 3-4 cars, a lot of storage space and a laundry room.